Through Baptism we welcome new people into the family of Jesus and celebrate their calling to serve God by living the life he has created them to live. Sometimes people are baptized as adults, more often this is done when they are children. 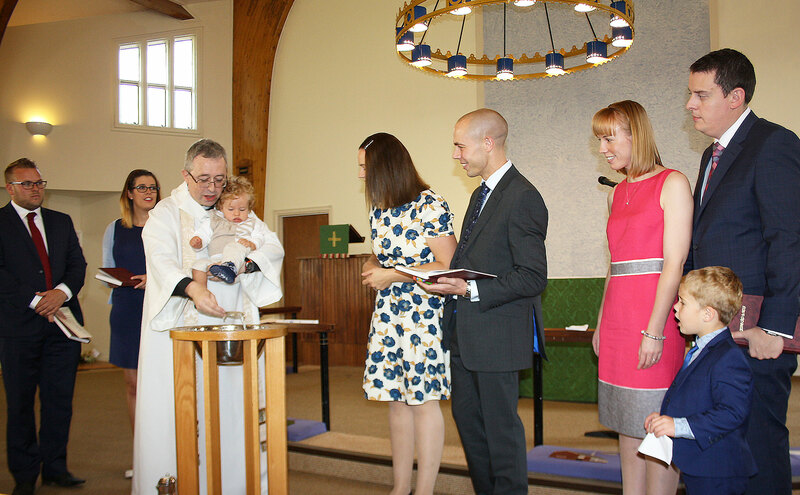 Baptism services are held on the second and fourth Sunday of each Month at 12 noon at St. Philip and St. James, or at the Church Centre (All Saints) by arrangement. Baptism can also be conducted within the regular Sunday service. We ask parents to attend a Saturday morning preparation session, usually on the first Saturday of the month, before the service is held. The Parish of Fleet normally baptize children of families who live in Fleet. If you wish to know more about baptism/Christening in our churches please contact the Parish office. If you would like to contact us to discuss a baptism, please use the form provided or call the Parish Office on 01252 812114. Please Answer: 1 + 14?